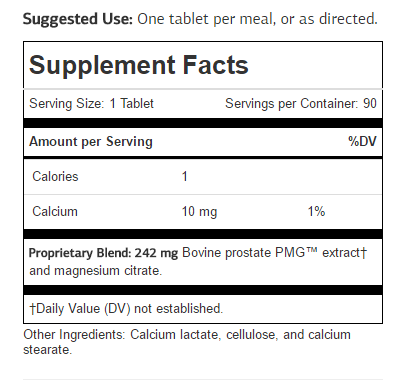 Prostate PMG is different than any of the other prostate supplements we tested. It doesn’t contain and nutraceuticals. Instead they have formulated this with Bovine prostate tissue extract. Because of this our lab analysis isn’t very useful.